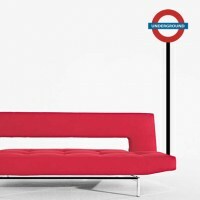 Bring a bit of the busy city into your home whether you live in the concrete jungle or the wilds of suburbia. Choose any of the unique designs from our Urban Decals collection to add that street feel to your home or office! 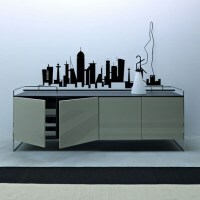 This skyline wall decal will add an urban touch to your room. It will look great above your bed or sofa and why not in front of your desk? 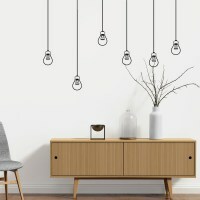 This set of six light bulbs wall stickers with wire with look great hanging from your ceiling on your sofa, on your bed or along your corridor! 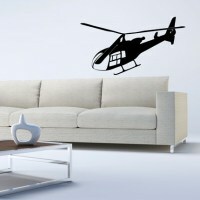 Everybody will be amazed walking in your living room and seeing this huge helicopter decal on your wall! 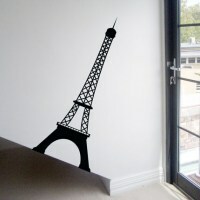 Put this Eiffel Tower wall sticker on your wall for a touch of parisian style! 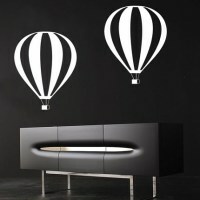 This large air balloon wall decal can be for adults or for kids!